Brew Ha Ha this week features Vinny Cilurzo from Russian River Brewing, a guest appearance from Herlinda’s dad Eloy Heras and a phone call from Tara Nurin, Forbes correspondent covering the brewing and distilling businesses. Herlinda’s father is visiting her from Amarillo, Texas. He has stories about serving in the Navy for 23 years. He tells a story about being in the Navy. He had buddies who got drunk while on shore leave and he helped them get back to the ship. But they got him to drink too so he got in some trouble since he was underage. [6:20] Getting back to beer, they taste the Russian River version of Resilience IPA. It is a fundraiser beer that Sierra Nevada put together, similar to the one that RRBC did last year with their Sonoma Pride fire relief campaign, only on a larger scale. 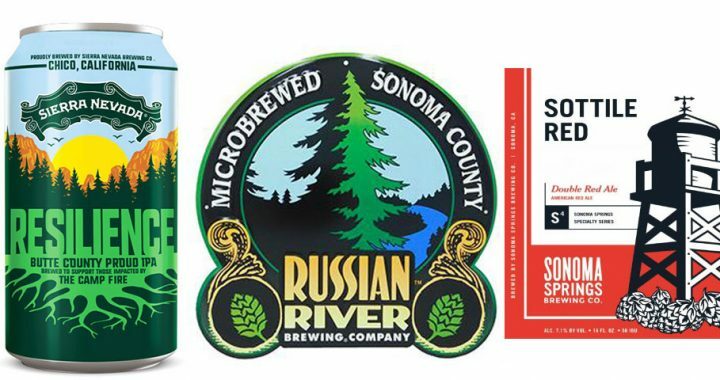 Vinny says that Russian River had about a hundred breweries participating last year but there are 1,481 breweries all around the world who are participating in Sierra Nevada’s Resilience campaign. All the proceeds go to relief efforts for people affected by the Camp fire in Butte Co.
Herlinda mentions that many other breweries around Sonoma County are making Resilience IPA and participating in the fund raising efforts. [13:30] Tara Nurin calls in from New York. (We apologize for the occasional static on the phone line.) Steve asks about her recent article in Forbes, called Feed Your Spirit and Stomach with These Feel-Good Giving Tuesday Beer, Wine & Liquor Purchases. 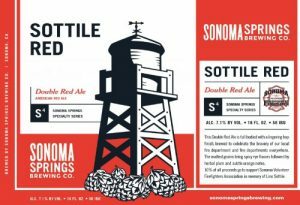 She also wrote an article based on the Resilience project where she told about two Sonoma County brewers, St. Florian and Sonoma Springs Brewing, which makes a beer called Sottile Red Ale. Sottile is the last name of a firefighter who coordinated a beer to commemorate a fire that happened at the brewery. The firefighters put out the fire and saved the brewery, two weeks before they were to open. Mr. Sottile passed away just before the release so they remember him with the beer’s name.